11th October 2012 marks the long awaited Educational Tour to Cotra Enterprise Sdn Bhd, Petaling Jaya, for 22 trainees and 12 caregivers. Cotra Enterprise Sdn Bhd is the trading arm of Malaysia Milk with VITAGEN as its flagship product. On arrival we were introduced to the various products made by Malaysia Milk followed by a video presentation of the health benefits of Vitagen. The highlight of the trip was the Plant Tour for VITAGEN. Trainees saw the end product of the straws that are laboriously packed at PBSNS. The smiles expressed their sense of achievement. All of us had to comply with the strict "Wear Hair Cap" & "No Jewellery" policy emphasizing the importance of impeccable standard of quality control. Finally we had a mouth-watering lunch at KFC. Our heartfelt thanks to Acorn Marketing & Research Consultants (M) Sdn Bhd for sponsoring our lunch. Our special thanks to Bro James Kumar for arranging our lunch and partnering with us. 1. Drink one bottle of vitagen a day to feel fit and healthy. 2. Cleanliness keeps bacteria away. 3. Pack 5 straws for 5 vitagen bottles! 7 trainees - Daniel Chu, Edwin Wong, Chong Chee Gong, Sanahthani, Fang Poh Kam, Meghalha and Lee Voon Tao made us proud when they participated in the Art Competition for Special Needs People on October 7th 2012 organized by Rotary Club of Bandar Utama at SEGI University College, PJ. The theme for the competition was Peace with Love. 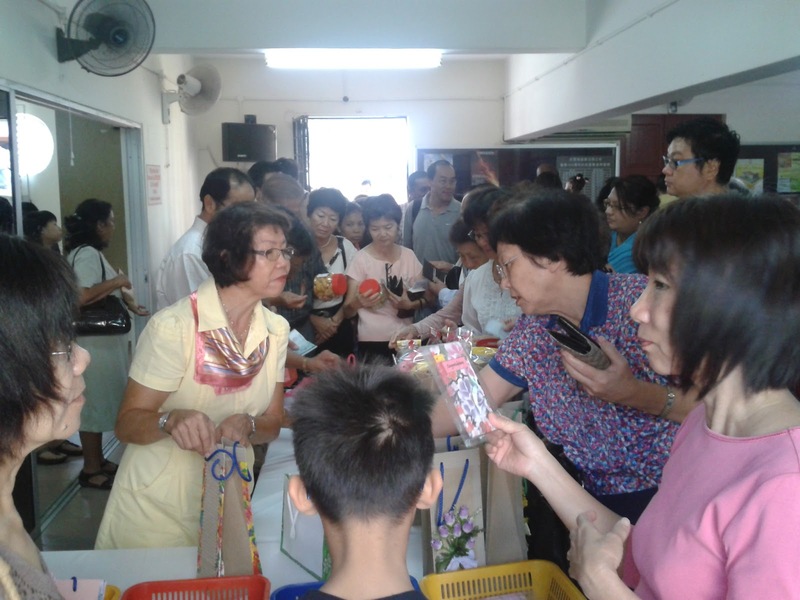 The competition was held simultaneously with five other Rotary clubs. Entries were split into two age groups. PBSNS trainees participated in category ‘B’ for those above 16 years old. 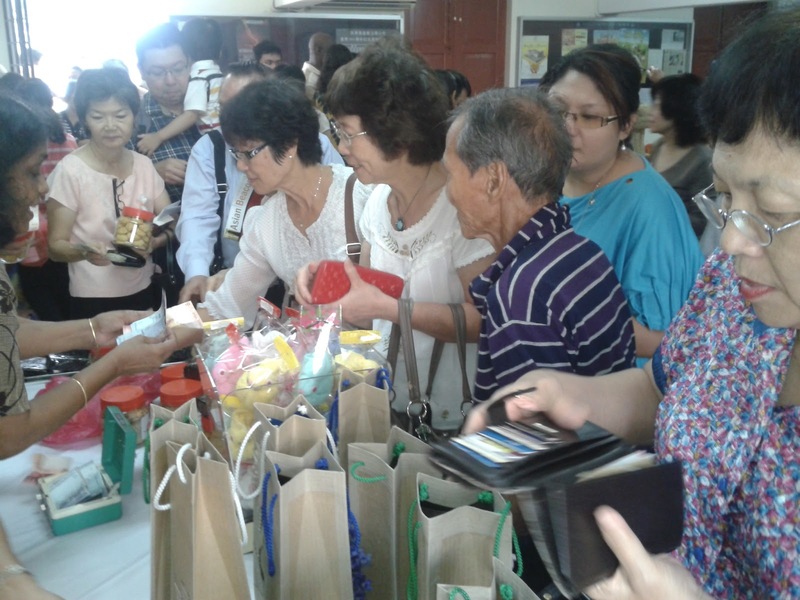 The top three in each category took home cash prizes of RM800, RM600 and RM400 respectively, along with souvenirs. There were also 10 consolation cash prizes of RM80 each. The top five winning art pieces in each category from all 6 states will be exhibited at the National Visual Arts Gallery from Oct 18 to 23. This special art competition had its beginning a year ago when Rotary Club of Bandar Utama organised the first Special Needs Art Competition with the theme “Rainbow in My Heart”. Last year 2 of our talented artists, Daniel Chu and Hidraz Shiraz participated and both came home gleaming with consolation prizes. Challenged by last year’s achievement trainees in the Art/Craft department under the leadership of trainer Kate Siew participated in the competition and displayed their artistic talents. All ready to display their talents! For us in PBSNS, the highlight of the day was seeing all 7 trainees display their talent and potential in their masterpieces. Of course greater was our joy when Daniel, Chong and Voon Tao bagged consolation prizes. All contestants received certificates of participation. Lee Voon Tao in action! Daniel Chu’s neat painting clearly displayed the theme "Peace with Love". Chong impressed the judges with the National Flag and 14 hearts! Poh Kam impressed the VIP guests! We were indeed privileged when Rev Tee Heng Peng from Seminari Theologi Malaysia, brought Rev Chong, Mrs Rev Chong, Pastor Soo and Felica Chong from The Church of the Good Shepherd, Sandakan, Sabah, to PBSNS to understand the ministry of PBSNS. PBSNS Chairman, Mr Peter Yew explaining the vision and challenges of this ministry. Deeply moved Rev Chong seeks more information. Mr Yew continues to share the achievements and aspirations of PBSNS. Rev Paul Christie introduces Voon Tao as one of our skilled trainee. Waiting for White Coffee being prepared by the trainees. As we part, we encourage our visitors to consider a similar ministry in Sandakan. A team of 8 staff including interns from Malaysian Care visited us on 11th September 2012. The purpose of this visit was to expose the new staff to the work done in various centres that cater for people with learning disability. Sharing notes on caring at our "Chedang Cafe'"
Enjoying the Nasi Lemak made by our trainees. Caring & Training Young Adults with Learning Disabilities. On 24th August, Emergency Rescue Team members of Samsung Electronics Display (M) Sdn Bhd, conducted this training. The aim of this training was to strengthen evacuation preparedness and to educate trainees, staff & volunteers safety procedures to be followed in the event of a fire emergency. Kean Ming being taught how to use the Fire Extinguisher. 3. Do not run or rush to get your belonging. 4. Walk slowly towards the nearest exit. Wesley Methodist Church Seremban, our founding church, designated 19th Aug 2012 as PBSNS Sunday. Our guest speaker Rev Dr Joseph Komar, STM Lecturer & Pastor, Methodist Church spoke on “Transforming Lives”. He pointed out that transforming involves spiritual & social dimension as such it is imperative that Christian communities translate God’s love into the lives of the socially marginalized people. Peter Yew, PBSNS Chairman and liturgist for the day updated the congregation on the work/activities of PBSNS. He thanked the congregation for their loyal support and invited both existing as well as new partners to support this community service. 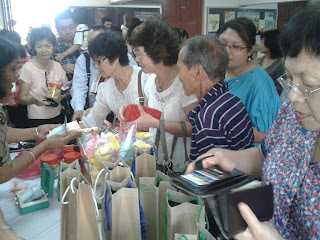 Following the service, products made by PBSNS trainees were sold. 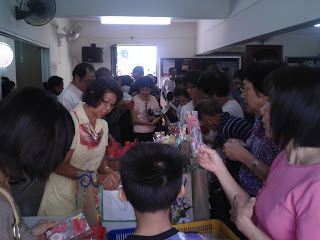 Our thanks to WMC Seremban congregation, for the overwhelming support.